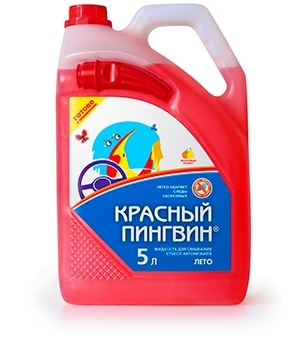 Windshield washer fluid with improved detergent properties (doesn’t contain methyl alcohol). Used both neat and watered in various proportions. 2 L (one bottle) for 20 L of water. If used neat, it can be applied at the temperature above –7 °С. Pour only into the windshield washer reservoir!